I have completed MBA in Finance right now i am looking for the Axis Bank job position so tell me how can get the Axis Bank job positions? 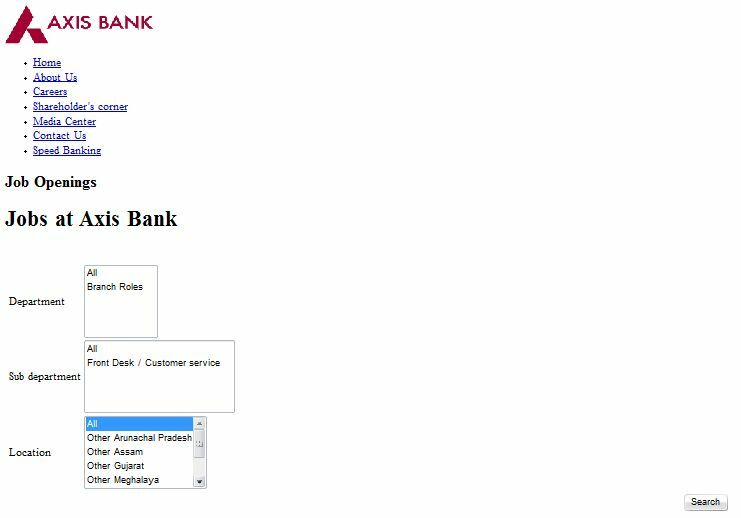 Axis bank, Srirampur, Hooghly, W.B. Last edited by Aakashd; August 1st, 2018 at 01:59 PM. Last edited by Aakashd; August 1st, 2018 at 02:00 PM. Fill in all the required details and click to “search” tab and after that you will get the list of jobs available. I have completed my mba in finance. 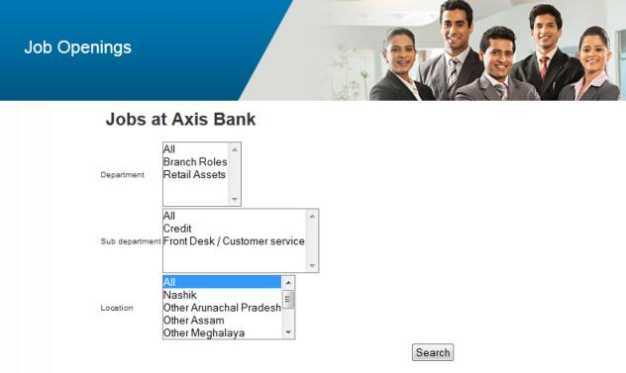 so i want to do career in bank so pls tell me the how we get job in axis bank at right post. give me your reply within 1 month. I need a job urgently.